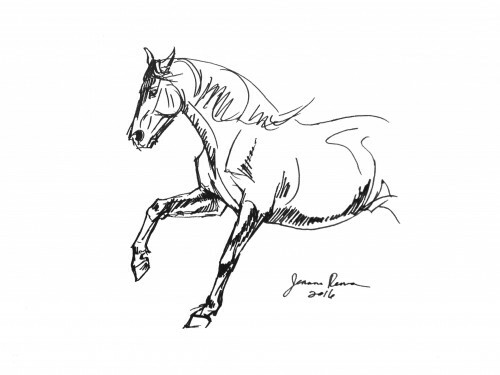 Original ink sketch of a galloping horse, rounding a turn. 9 x 12 inches. Original available for sale on Etsy here. This entry was posted in Drawings, Ink Drawings and tagged black, black and white, drawing, gallop, ink, Sketch, white. Bookmark the permalink.